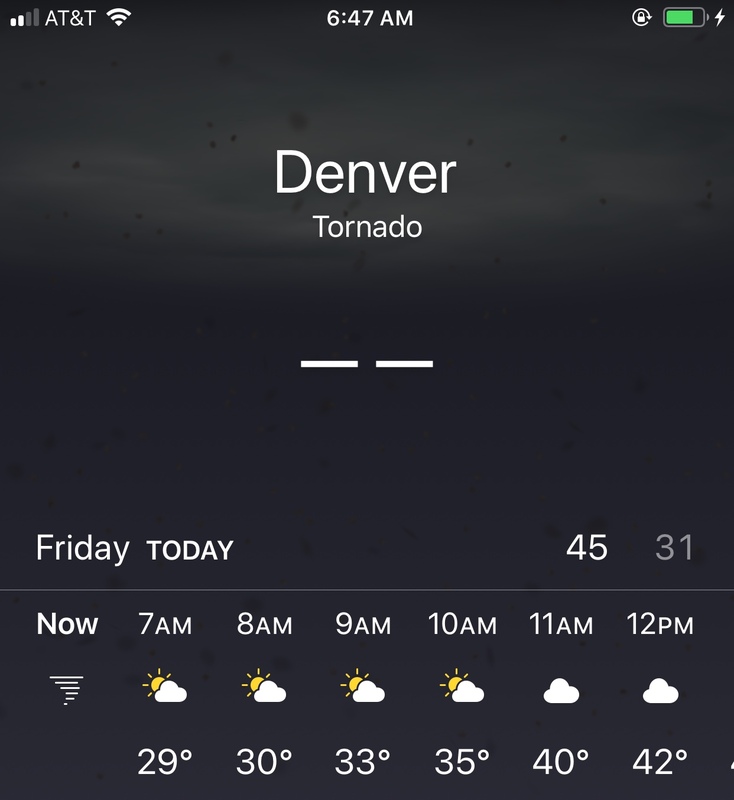 A tornado? It’s a little cloudy this morning but hardly tornado weather. I had a great time in Santa Fe. Cindi and I did a gallery tour on Friday. I saw some great art but most was priced out of my reach. I managed to spend a day in the galleries and not make a purchase. One gallery we visited had $2m worth of art in two rooms. Granted, it was a large gallery, but that’s a lot of expensive art for one space. In addition, there were two abstract metal sculptures outside the gallery that were priced at $750,000 and $350,000. The more expensive sculpture had sold. Santa Fe is a wonderful place but it seems to be populated by people with money and people who are struggling, with very few people who could be considered middle class. It also has some of the worst drivers on the planet along with a high number of drunk driving arrests. Make sure your car insurance premium is paid if you take your car to Santa Fe. Headed to Santa Fe for Thanksgiving with the gang. On Sunday, I talked with a friend and former work colleague I’ve known for many years. When I met G he was married to a woman. He came out, divorced his wife and met his future husband all within a year. We were both laid off with weeks of each other from a global telecom company. G called to tell me he was moving to Missouri in a month. G and his husband had sold their business a few months ago. The listed their house on Friday and accepted an offer on Sunday. Two weeks ago, S, who I also worked with for many years, called to let me know she was moving to Mississippi with her husband and adult son. She had sold her house the day it hit the market. Six month ago, J, who I’ve known since the early 90’s moved to Alabama. She an executive assistant at the company I’m under contract with. She sold her house in five days. It’s an exodus of friends from Colorado to cities in red states where the cost of living is cheaper. All are at, or nearing, retirement age. They are cashing in on their home equity and paying cash for houses in less expensive cities in preparation for the final chapters of their lives. I may making an exodus one day but it may be a while. My cash cow has to die first. One of the men on my team in India is getting married this weekend. It’s an arranged marriage. I was informed by the team lead that three of the four team members in India have arranged marriages. The sole woman on the team in India is the only one not in an arranged marriage. She managed to find a husband on her own. It seems odd to me that in 2018 arranged marriages are still happening. It is India after all, and not liberal bubble I orbit in. How about some post-election art to center our minds after the mid-term elections? 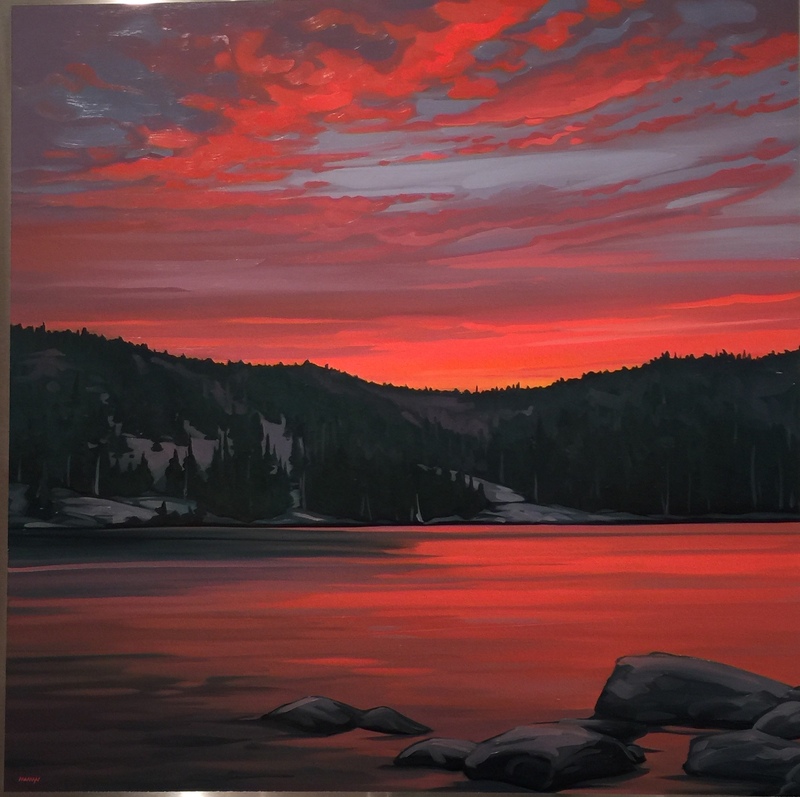 Mai Wyn Schantz, Echo Lake, oil on stainless steel, 36 x 36, $4,500. Available at Mai Wyn Fine Art. 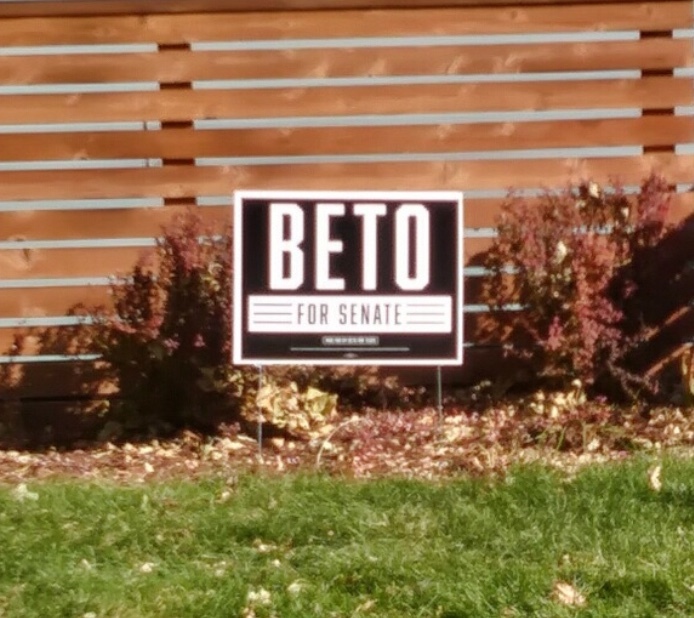 I saw this sign in southeast Denver which is probably a more liberal section of town.